Not a lot to report today, little bits and pieces of things getting worked on this week, but nothing monumental. I did however get my Tula Pink picnic quilt back under the needle! sorry for the rubbish IG photo! 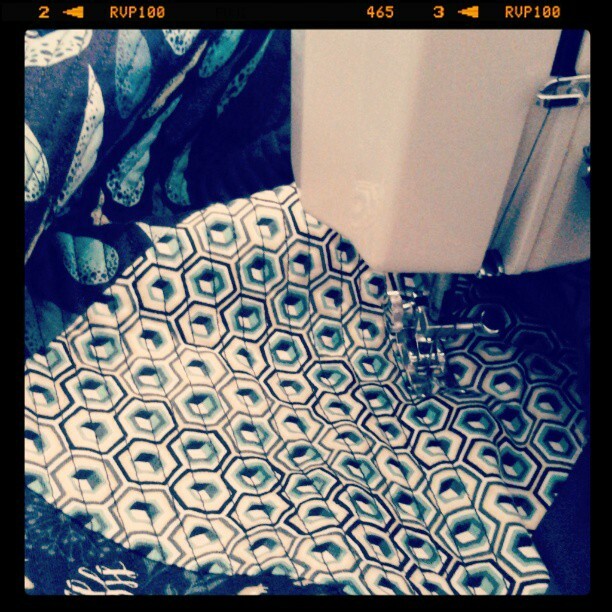 The quilting on this one is taking forever, it doesn't help that i only quilt this one at my mom's. And while i do spend a great deal of time there, there is always something else to do. But i do wish i had of spaced the quilting out a bit more! For those that forget what this one looks like (it has been quite a long time) here's a shot of it pre-sandwiched. So while it's planned use is as a picnic blanket, it's going to have to wait until next year to be enjoyed! i managed to pull this together. I have a few centers that will be fussy cut but for the most part i'm trying to keep this one on the simple side. Hoping to get this one taken care of quickly, ha! Hope everyone has been having a productive week! Getting my WIP on with Lee! Clickety, clickety! And joining up with the party happening at Kelly's! Clickety, clickety! What a great quilt! It will be a wonderful when it is finished! Those churn dash blocks are going to be awesome! Love your planned picnic quilt - gorgeous! Making churn dashes and freeing trapped fingers in a single bound...... Why it must be Wonder Woman!! Your picnic quilt is beautiful and so is your churn dash. A quilt full of churn dashes is on my "to make" list. Maybe your quilting can become progressively wider as you go along :) happy Wednesday!! The Tula quilt top is fantastic. Don't think I've seen it before, being pretty new to your blog! Your projects looks great! I haven't seen your quilt either. Great pic! The Tula Pink picnic quilt is pretty awesome. You can always have an indoor picnic. I adore the fussy center churn dash! So fun! Your quilt looks great and I love those fussy cut centers! Gorgeous Tula quilt ....so love those colours. And can't wait to see some more of those churns, that fabric range is one of my most favourites. I wish I'd bought more especially of narwhal!! (I like the boats too). Love those mermaids and pirates. The first block looks great! gorgeous picnic quilt, and that little churn looks pretty accurate to me! Yay for picnic blankets! Sorry to hear yours won't be enjoyed until next summer, but it will be perfect for picnics when the time comes. 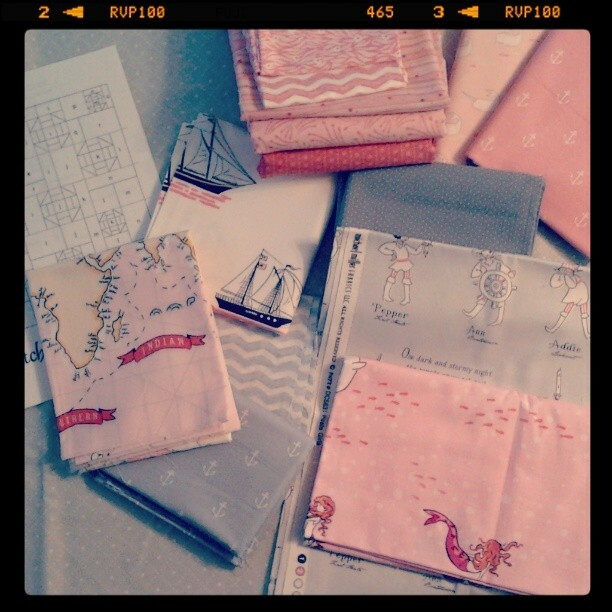 Love the churn dash and your fabrics!